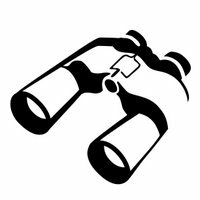 Anything New Looking at Google Search and the World of Hard Copy? In the last six months, we have collectively made it through election season followed by influenza season. What does this have to do with printers and printing? Well, in the world of search terms, both elections and flu season are subject to sometimes remarkable analysis via Google Trends (for examples, see “Who is Running for President” and “Predictive Analytics Allows Feds to Track Outbreaks in Real Time” - though the recent coverage on Google’s 2012/2013 results regarding the flu conclude the firm over-estimated the outbreak’s severity). With a little time and experimentation, print and hard copy-related search terms could be given similar scrutiny. 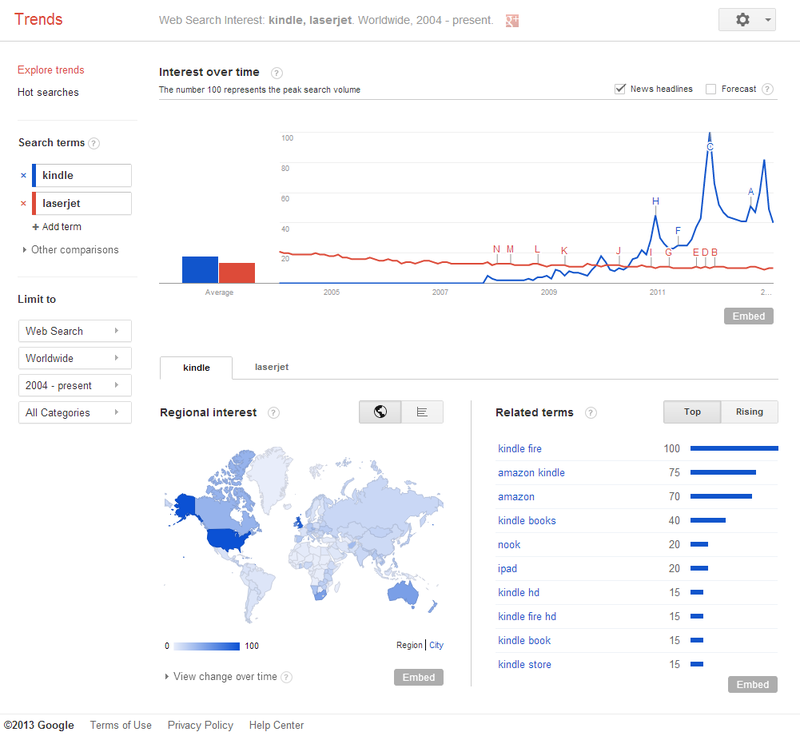 Gaining insights from the frequency and patterns of Internet search terms is not exactly new. Back in September 2008, I did some analysis and then wrote about it. 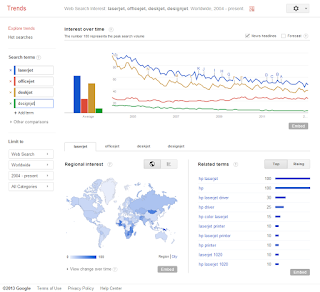 It was, at the time, a fascinating new search-analysis tool called Google Trends. (See “Reading the Google Tea Leaves”). In the article I explained a bit of the background including the “art versus science”aspects of search term analysis, much like in other analytical and predictive fields, and presented results of several different comparisons I had found interesting at the time. With my interest spurred by the news items mentioned above and others like them, I was curious to go back and see how my insights might have changed since 2008. The first graph (below) shows four years’ worth of search frequency data for four well-known HP printer brands – LaserJet, Officejet, Deskjet, and Designjet (keeping in mind that something like “LaserJet” is much more definitive in this sort of analysis than “printer”). In 2008, the data going back to 2004 showed a “down-and-to-the-right” trend for all four terms. This year’s analysis showed those trends continuing with one notable exception. The four search terms held their relative rank over nearly five years, but “Officejet” was the one search term that was “up and to the right” and gaining on “LaserJet” for the number one position. Those who follow the industry know that HP has been pushing “color in the office” via the firm’s color Officejet products for some time now, and this analysis would seem to reflect that. My analysis in 2008 also tried to go beyond printer versus printer. I weighed public interest, as measured by search term frequency, by adding in new devices that might be seen as substitutes for printers. At the time, I did some “LaserJet/iPhone/Kindle” matchups. Realizing the “iPhone” search results swamped the other two (iPhone then was essentially an upside outlier), I presented simply the “LaserJet/Kindle” comparison. Like with the first example, I repeated the analysis this year to see how things might have changed. 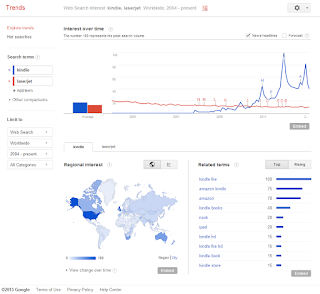 Since late 2008, searches on “Kindle” have rapidly outpaced “LaserJet” searches after a far more “neck-and-neck” view back then. So could I find any good news in Google Trends’ printer-related neighborhood? As mentioned, precision in terminology (or the lack of it) adds challenges for the analyst and acronyms often introduce a lack of precision, but I finally found an analysis of “MFP” (aka multi-function printer or peripheral) to be a fairly definitive search term, as evidenced by the related terms showing up in the lower right of the graphic below. But to close with some less-than-jolly news for those of us in the printing and imaging industry, and after having relatively good luck with “MFP,” I experimented with some more non-brand-specific terms. I tried “paperless,” which is often bandied about to mean a number of things but all of them generally describing a reduction in printed materials of some kind. It presented a not-surprising growth trend with a wide variety of related terms, as can be seen in the graphic below. I then overlaid another potentially nebulous term, “hardcopy,” trusting that many, if not most, of the searches for that term would be printing-on-paper related. And guess what? It was a predictable down-and-to-the-right pattern. Just as I found in 2008, a little persistence with this powerful tool can yield some surprising and, equally valuable, validating results. 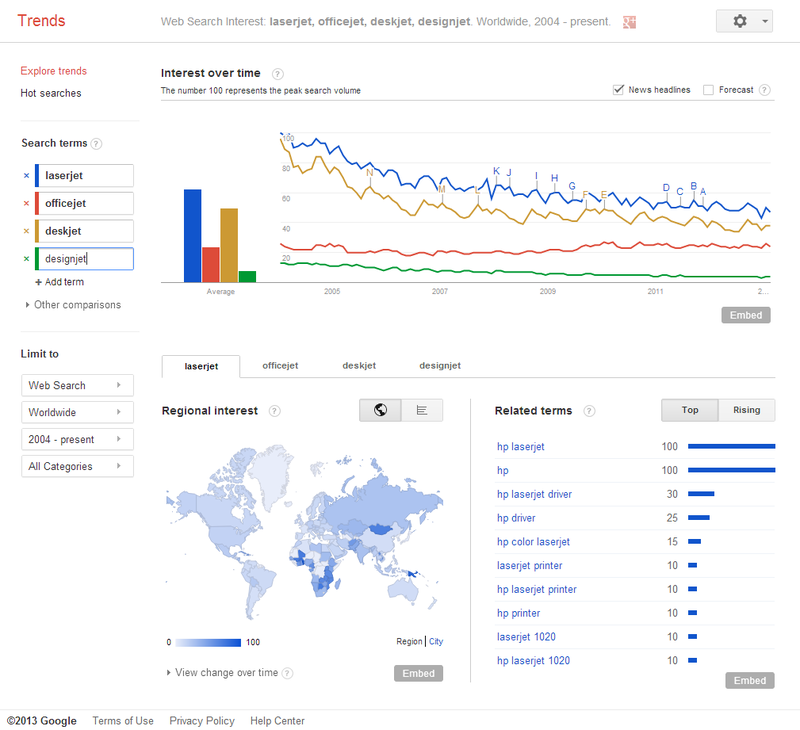 I will continue on my quest to further master Google Trends and hopefully gain further insights into our business. And guess what? A new, related tool from Google called Google Correlate made its appearance recently, since my initial 2008 explorations as well. So stay tuned for some results from that world as well! You read the book - now see the movie! Earlier this month, I posted here that a new White Paper I authored is now available from Nuance. 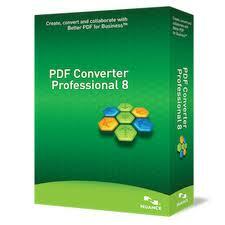 (See "Nuance PDF Converter analysis now available".) 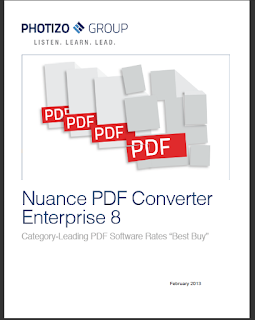 Next week, on Tuesday, February 26th, I am joining the Nuance Communications team for a live webinar, covering the virtues of Nuance PDF Converter Enterprise 8. Register now, and find out more about why, in the white paper, I called it a "best buy"! 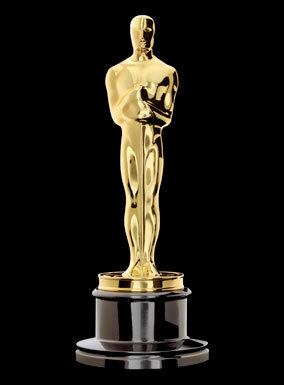 And while the white paper is not really a book, and the webinar is not really a movie, I figure, with Oscar weekend upon us, close enough and it makes a great headline! Readers may know my attempts (mostly successful) to avoid being a blogger blogging about blogging, but I will predictably fail (to avoid that) every once in a great while. My friends at Klout seem to think I am a bit of a loser, but Kred (do they try harder?) is doing their best to be sure that I like them, the way they like me! Love this nifty badge they sent me! 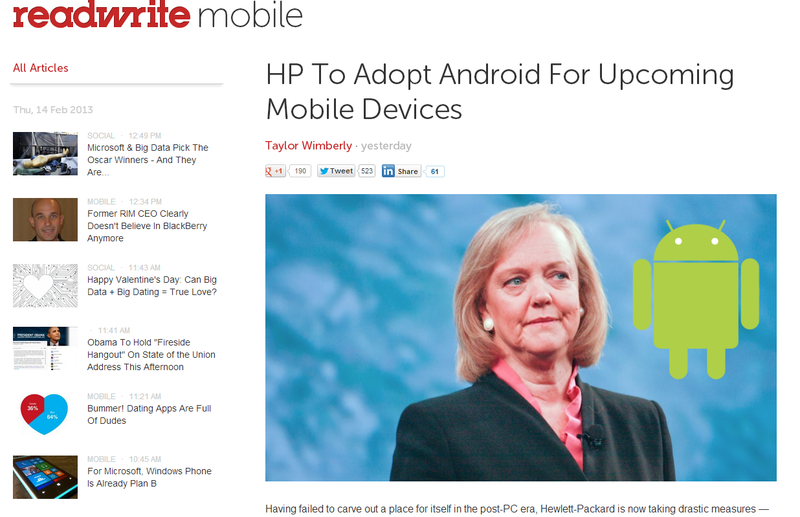 HP Doing an Android Tablet? - So what else is new? HP Adopting Android - Again? Tongues are wagging about the report that has HP ditching Microsoft and Windows in favor of Google and Android, in their upcoming tablets and smartphones. While the story is laced with drama, one needs to remember there's nothing new about the Android tablet news. HP can thank its printer division for introducing their first Android tablet, which came as part of their Photosmart eStation all-in-one printer back in September 2010. Though that is less than two-and-a-half years ago, in the tablet world (even more than in dog years) it seems like ancient history. This of course was well before HP had introduced (and then pulled) their ill-fated Touchpad, a webOS product. At that time, the printer group's use of Android tablet was considered usurping the company's internal (via acquisition) mobile OS. Now today's news questions HP's loyalty to Microsoft and Windows. By the way, that eStation printer with its $399 price tag was suggested by some, at least, at the time of introduction, as a great bargain - even suggesting buying the printer just to get the tablet. Today, at least according to Amazon and one of its reseller affiliates, it's still available and with the price ratcheted down to $240.99. Today, February 11, 2013, HP has announced worldwide release of the Officejet Pro X series, their printers which use page-wide array inkjet printing to get up to 70ppm print speeds. 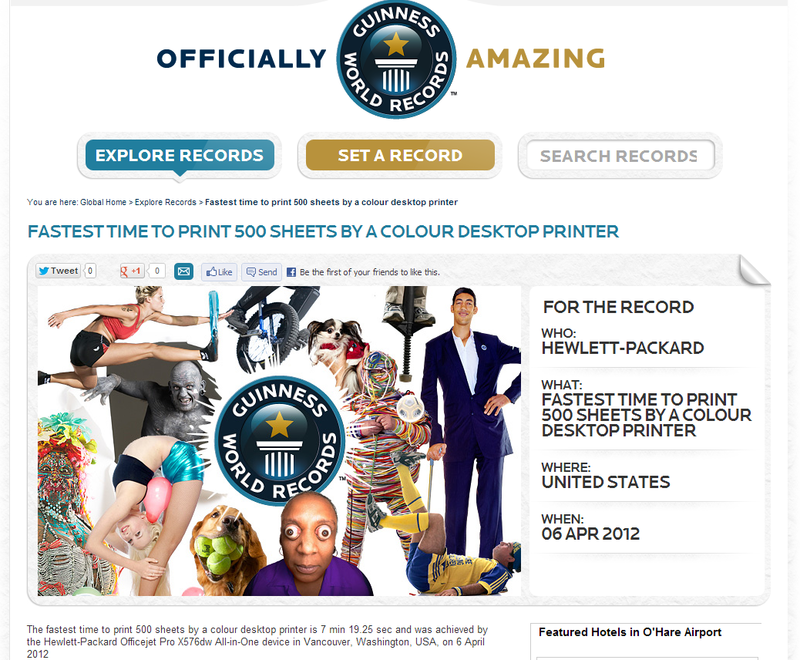 Along with the announcement, HP is celebrating the 25 year anniversary of the HP Deskjet printer, and also its place in the Guiness Book of World Records as holder of the "fastest desktop printer" title. 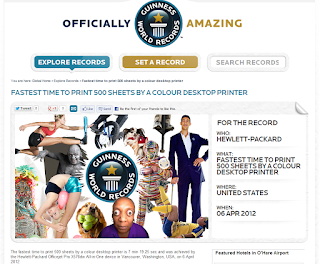 (See the Guinness Records site for more details.) The printer is positioned as a fast and economical color laser replacement for Small and Medium Business (SMB) customers. While the printer itself is very impressive (I got an up-close look last Fall), I have to say I am equally impressed with HP's pursuit of the "World Record" angle - seems like the return clever and imaginative HP I have known for so long! 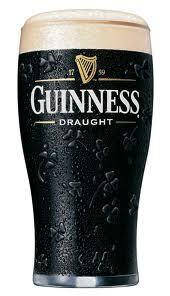 And in the "small world" department, one of my most recent "up close" visits with HP was in Fall 2011, when an influencer event at the company's Dublin-based European headquarters, and included an evening at the famed Guinness brewery. 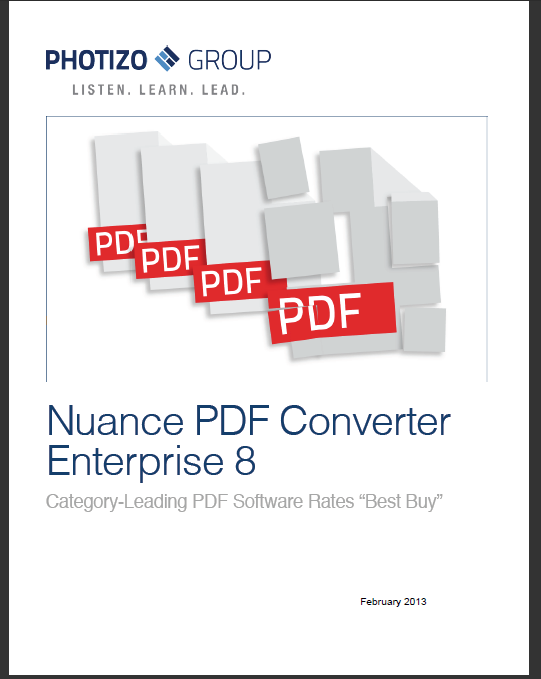 I am pleased to announce that the Photizo Group white paper, "Nuance PDF Converter Enterprise 8: Category-Leading PDF Software Rates 'Best Buy'", is now available for download. This was a project I took on in 2012, and have wrapped up early this year. I will be offering a more detailed post on its development over at the Photizo Group blog, in the coming days, but wanted to get the word out here, first!